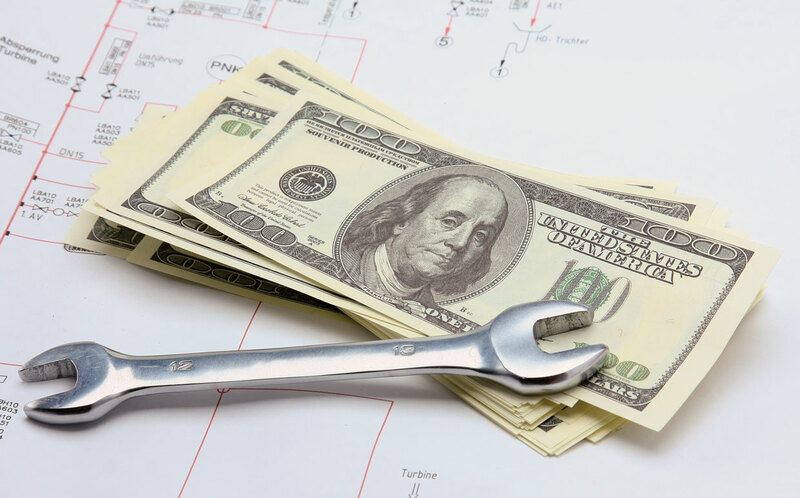 How to Conduct a Needs Assessment for Your Maintenance Department, Part 4: What’s the Cost? At this point, you’ve identified your needs, current resources, and a list of tools needed to move forward. Now it’s time to consider how much it will cost. Some maintenance managers have defined budgets for these projects. But many have to justify purchases to managers and other departments (like accounting or IT). If you’re part of this group, we have some suggestions on how to get support from key players. Managers and bean counters love to talk about return on investment (ROI), so maintenance managers need to speak the same language. ROI measures the gain or loss generated on an investment relative to the amount of money invested. ROI is expressed as a percentage to compare the efficiency of the investment. Let’s use a simple example that we see all the time—calculating the ROI of a CMMS software purchase. Based on research by Information Technology Intelligence Consulting Research, 98% of organizations say a single hour of downtime costs over $100,000. Let’s very conservatively estimate that your organization experiences 20 hours/year of preventable downtime due to unexpected asset breakdowns. If you invest $35,000 in CMMS software, implementation services, and training, and you reduce that downtime by just 5%—one single hour—you’ve already paid for your CMMS software. And that savings compounds year after year after year. Where I Can Find ROI? While the numbers will vary, you can see how saving that kind of money is going to look good when it’s time to get funding. ROI is part of the bigger picture—data-driven management, which simply means making management decisions backed by reliable data. Technological advances continue to make more and more detailed, relevant data available to maintenance managers. And with that increased capability comes increased opportunity to improve organizational performance—a great way to justify your expenditures on new technology and tools. Data-driven management also allows maintenance teams to communicate their value and contributions to the organization. It’s easy for upper management and other departments to see the value and efficiency of your team and their work when they can see the data—and the dollars—right in front of their eyes. We’ve come a long way, but there’s one more step left—developing a realistic timeline.